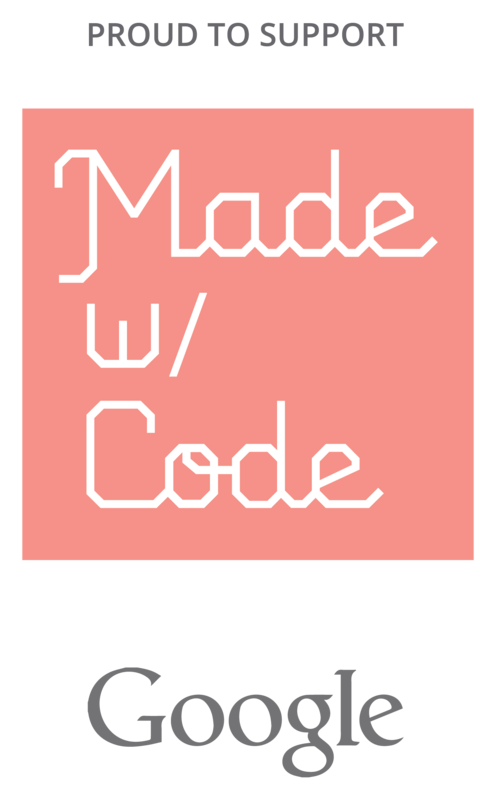 Now that you’ve tried Made with Code, we’re here to help you create your very own mobile app for your phone. We hope you were inspired by the EPA Chica Squad’s story about using code to improve their local community. They actually used App Inventor to develop their mobile app! With these beginner-friendly tutorials, you will learn the basics of programming apps for Android. App Inventor is a free, cloud-based service that you access using a web browser. Log in with a Google account (Gmail or school email tied to Google) to start inventing right away! • Follow the instructions to connect your phone to App Inventor on your computer..
• If you hit any snags, we're here to help! • If you are Android-less, never fear, you can use the on-screen emulator! Follow these four short videos and you'll have three working apps to show for it! After building the starter apps, which will take around an hour, you can move on to extending them with more functionality, or you can start building apps of your own design. Get started now with Video 1 below. 2. Extended TalkToMe App: Shake! Make it do tricks! How about if the phone responds to shaking, and also speaks any phrase you give it? Find more tutorials to learn even more about the power of App Inventor!